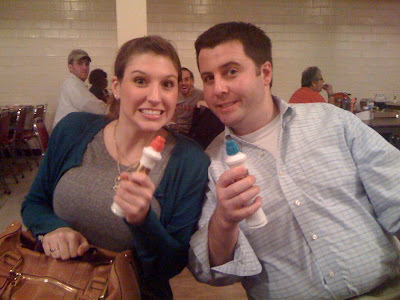 This past Thursday Ryan & I went to Bingo night again and brought some friends with us that had never been before. 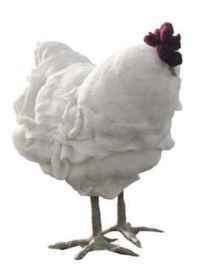 I don't think I've laughed that hard in a really long time. It was such a fun night. You should definitely check to see if there is a facility near you that hosts Bingo nights! 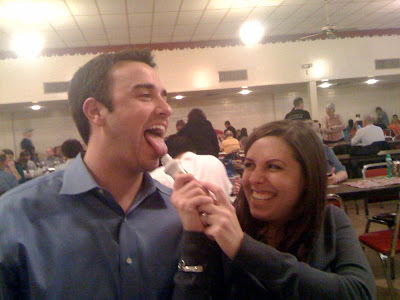 Ryan & I still haven't won yet but I did get to dob his tongue. 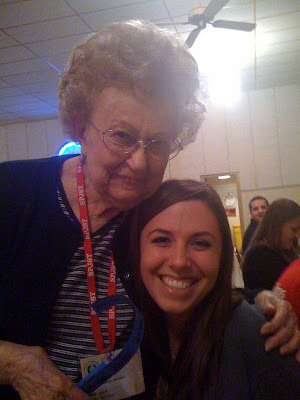 It was a good night because I got to take a picture with my favorite lady that works there. She's so sweet! In other news, Saturday was the 5 mile Heart Walk event called Start! 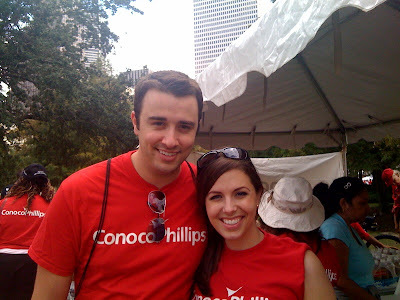 It was at the downtown Sam Houston's Park. The people showed up in droves. I've never been to such a big event before. 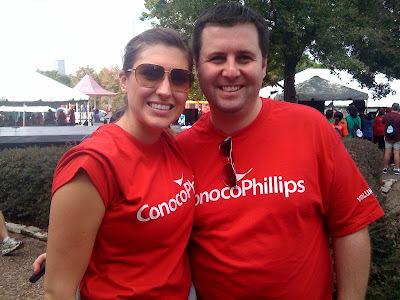 It was so fun to see all the ConocoPhillip's employees in their red t-shirts all walking together. People were able to bring their dogs too so that was fun to see all the cute doggies out there. This event raised over $1.4 million for heart research. I love being apart of amazing outreaches like this. We had such a blast this weekend, but we were so exhausted that we crashed on Sunday. Ha! I think we are still recovering this morning. More fun weekend info to come this week. i need to get out and play bingo! i love bingo! Wow, I think you've inspired me to try and find one by us. Who knew Bingo could be so much fun? Sounds like a great weekend! I LOVE playing Bingo..I used to go all the time with my great-grandma. 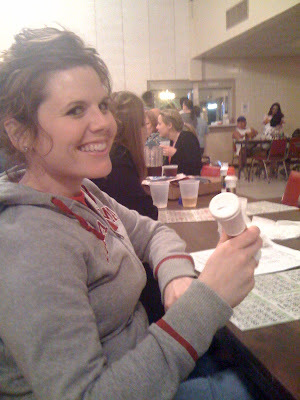 I love Bingo... i used to go all the time with my nan, mom and aunts! Hey! I'm glad you found me! I forgot to tell you I started one...I love reading yours!! It's been fun, I am slowly getting the hang of it. I love that you guys play bingo!! 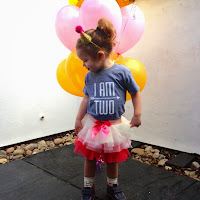 Love these pictures, what a fun time! OMG, I love that you guys play BINGO!!! I think I need to get into that. ha ha! We have a couple bingo halls by my house and I really want to go. I used to play with my grandma and still love that silly game.